Over the past hundred years, literary agents have become key intermediaries in the publishing business. They select authors, negotiate publishing and other rights deals, and manage authors' business affairs. They also frequently perform an editorial function, working closely with authors on their work before it reaches a publisher. In this talk, Antony Harwood, a leading literary agent, will introduce the business of the literary agent, examining agents' relationships with the rest of the publishing industry, with related media industries, and with authors. He will also discuss some of the current issues in the publishing market affecting the business of the literary agent. The publishing buzzword of 2008 has undoubtedly been ‘open access'. But typically this has referred to scientific journal publishing, only recently expanding to include humanities research. This paper goes further in asking what might an open-access literary culture look like? Developments around online publishing, electronic-books, print on demand and digital libraries see publishers facing challenges on every side. How might publishers' traditional role as gatekeepers of literary culture be similarly usurped in an environment characterised by networked books, wiki-novels and fictional ‘rip and burn' practices? Outlining three exciting recent experiments in open-access literature, Simone Murray's illustrated talk investigates what the digital future of literature might look like, and what its impact will be on writers, publishers and readers. 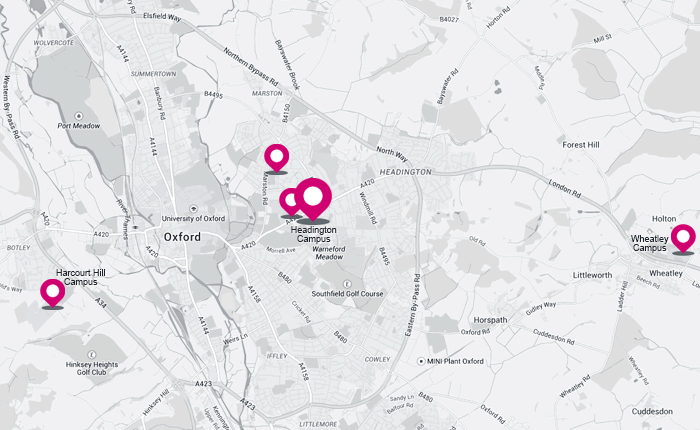 Taking Place: University of Oxford, History of Art Department, Littlegate House, St Ebbeâ€™s. Carole's talk will span the environmental life cycle of a book from tree to toilet tissue! She will be concentrating on paper sourcing and the various ways that publishers can ensure appropriate sources and use for this increasingly environmentally sensitive commodity. graduate students are very welcome to attend. Children's publishing is an exciting and dynamic sector. At this London Book Fair seminar, organized by the Oxford International Centre for Publishing Studies, a panel of experts will look at international trends in children's publishing and examine future developments. Following the success of last year's inaugural vist to the London Book Fair, the Oxford International Centre for Publishing Studies is to have a stand at this year's fair. So come and see us on stand T740, London Book Fair, Earl's Court, 14 - 16 April. This event, organised by the International Working Group on the History of Racial Sciences and Biomedicine in Central and Southeast Europe (19th-20th Centuries), is sponsored by the Centre for Health, Medicine and Society, and the Institute for Historical and Cultural Research at Oxford Brookes University. Have you ever considered a career in literary agenting? The English Writers in Prison Committee has worked since 1960 on behalf of persecuted and silenced writers to bring their cases to light throughout the world. Ophelia Field runs the English PEN Writers in Prison programme and is also an author and freelance writer. She has worked for over a decade as an advocate for the rights of refugees and asylum seekers and has been an expert consultant to various organisations, including the European Council on Refugees and Exiles, Human Rights Watch and the UN High Commissioner for Refugees. Harry Bingham, Author and Editorial Director of The Writers' Workshop, will be speaking at the Publishing Research Seminar Series at the Oxford International Centre for Publishing Studies. The Oxford International Centre for Publishing Studies at Brookes (OICPS) and UK Trade and Investment are combining their considerable experience and expertise to organize a Trade Mission to India in February 2008. All publishers are welcome, but the Mission is specifically intended to help small and medium sized publishers create relevant contacts and do business in India. Drawing upon the approaches and preliminary findings of the interdisciplinary research project, 'Beyond the Book: Mass Reading Events and Contemporary Cultures of Reading in the UK, USA and Canada,' (http://www.beyondthebookproject.org/) Danielle Fuller will consider some of the strategies, challenges and lines of investigation open to us as students of contemporary book culture. This presentation will be of interest to anyone who is a reader-participant in shared reading (through membership in a book club, for instance), to those who are intrigued by the popularity of literary fiction in the early 21st century, and to publishers trying to understand contemporary reading cultures. The English department's Simon Kovesi will be discussing the Romantic-period poets John Clare, Robert Bloomfield and - friend to them both - the poet and watchmaker Thomas Inskip, on BBC Radio 4's 'Making History', next Tuesday 13th November, at 3pm. Is publishing about culture or commerce? Should publishers prioritise the dissemination of art, information, and education, or the making of money? Who, ultimately, should publishers be responsible to - the general public, shareholders or the aesthetic good? In this seminar, Andrew Franklin will discuss these issues, drawing on his own experience working for a small independent and a large corporate publisher.